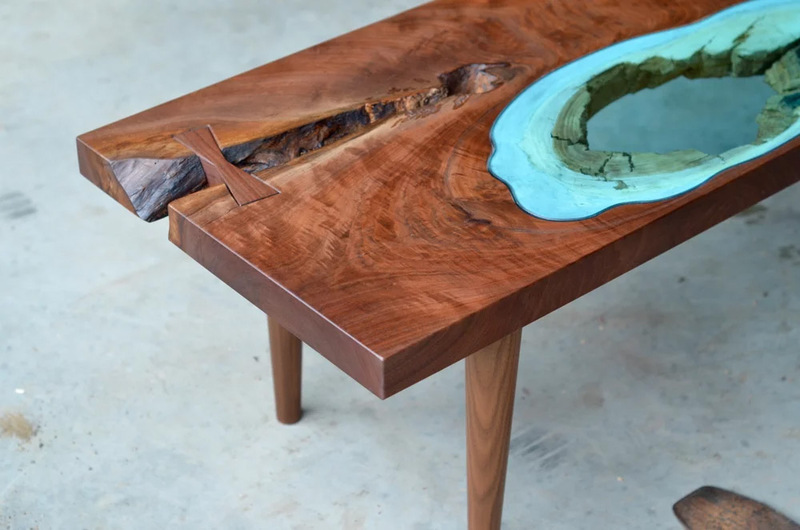 Inspired by his daily experience of life in the Pacific Northwest, artist and designer Greg Klassen (previously) fabricates one-of-a-kind tables featuring blue glass rivers, lakes, and waterfalls. The topographical studies mimic bodies of water seen from an aerial view, but the twisting blue pathways are often defined by the wood pieces he selects. While the majority of Klassen’s work serves as functional art, he’s also begun to create more isolated wood and glass sculptures mounted on walls. Several of Klassen’s most recent tables are available through his online shop, and you can explore more pieces from the last few years on Instagram and Facebook.